There are all sorts of lingering questions about the timing of the Senate climate bill. It's not just a matter of whether something will pass. What are the odds something will pass before the Copenhagen talks? Earlier this week, John Kerry told a group of activists that he was "confident" his bill could win a floor vote before international negotiations pick up again in mid-December, but that seems awfully ambitious. After all, any major climate bill will have to crawl through a whole gantlet of different committees, and some of the key chairmen involved, like Max Baucus, still have their hands full with health care reform, which may itself not even get sewn up by the end of the year. 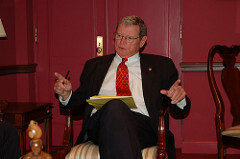 Boxer cannot hold the markup unless at least two Republicans show up, and EPW ranking member James Inhofe (R-Okla.) signaled that he has unanimous support among the panel's minority members to boycott the session until they get more data on the legislation from U.S. EPA and the Congressional Budget Office. What's all this "more data" business about? George Voinovich, one of the senior Republicans on the committee, has been bugging the EPA about this for months. Never mind that the agency has already done two detailed analyses of the House climate bill and applied that modeling to the very similar Senate proposal. (Those analyses found that the costs of cap-and-trade would be modest, about $80-110 per household per year.) 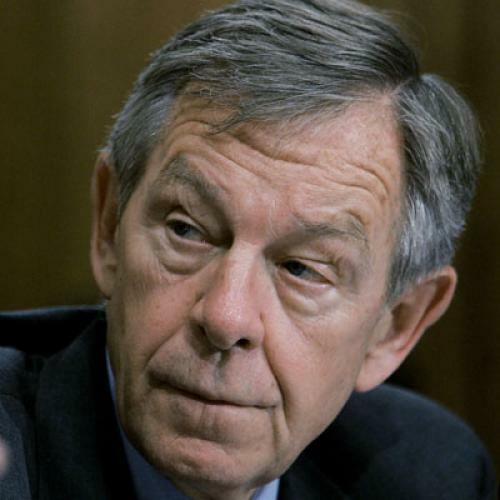 Voinovich is convinced the EPA is somehow low-balling the economic pain the bill will inflict. He thinks, for instance, that low-carbon technology will be less readily available than the EPA expects. (Note that, historically, the exact opposite has occurred—companies usually adapt to pollution controls more easily than economic models forecast.) Yet it's hard to imagine he'll get the answer he's looking for, or that having the EPA and CBO spend another month on modeling will yield any new information. So we'll see what happens. Inhofe's pretty clearly fishing around for any excuse to delay the bill, while Boxer obviously wants to move quickly—even if it can't get finalized by Copenhagen, the United States might have a stronger negotiating position if the world saw that the Senate was making serious headway on climate legislation. Still, the broader Senate energy debate could turn poisonous if Inhofe's boycott works and Boxer has to send the bill out of committee without going through the usual mark-up process (an option she does have, if it came to that).